The San Diego Police Department has handed its case involving the death of a San Diego man at a Midway District gentleman's club over to the District Attorney's Office for further review, according to a member of the department's homicide division. 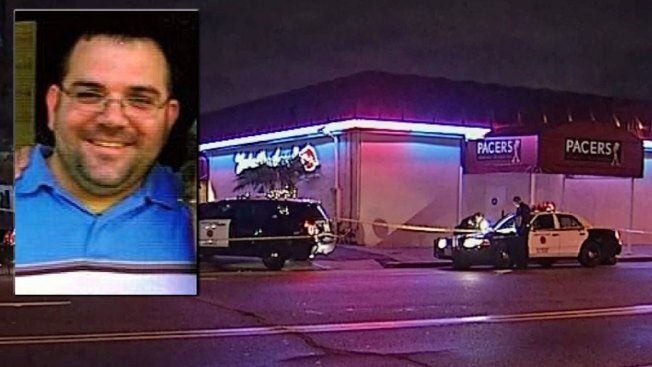 SDPD does "not anticipate an arrest" in the death of a Joseph Thomas outside Pacers Showgirls International in December. NBC 7 learned Wednesday night his death was ruled a homicide, according to an autopsy report. Thomas' death was caused by asphyxia due to “neck and torso compression during prone restraint,” according to a deputy medical examiner. The autopsy report was released to NBC 7 Wednesday. Cocaine and alcohol were also in his system at the time of his death, and Thomas had an underlying hear condition, according to the report. Click here to see the original story Thomas's death. According to police, Thomas was face down under the bouncers. When officers arrived, police say, Thomas was unresponsive and not breathing. He was pronounced dead at the hospital. “It’s a relief to some extent to know after having to wait all this time to get a final [answer]," Arthur Thomas, the victim's twin brother, said. "It’s very hard to hear this because we suspected this. It’s very emotional." NBC 7 reached out to Pacers Showgirls International Wednesday evening. An employee said they were instructed by their attorneys not to comment. Thomas's death is one of two men who have recently died in San Diego County after a night out at a bar. NBC 7 Investigates recently uncovered what local security experts are calling an "underground industry" of unlicensed, untrained security officers and bouncers in the area. Former San Diego Police detective and CEO of Security Nightclub Consultants, Robert Smith, said, "probably 70-75% [of working security officers] are not licensed properly." The names of the bouncers involved in the incident have not been released.